I visited Germany for the first time in 2006. I just spent 3 days here after the World Press Photo Award in the Netherlands, so it was more a journey through. At that time I was at the Gruner+Jahr-building, at the harbor and Blankenese and everything seemed exclusive and posh to me. I had no idea there were poor people in Germany as well. When I met the first homeless here, I was confused. It was in January this year, after getting a one year long scholarship by Hamburg Foundation and GEO magazine. Under the Lombards Bridge, I saw some people who were obviously sleeping there. I asked a friend who they were. It shocked me that they were homeless people. Why are there homeless in one of the richest countries of the world? I am from Bangladesh, one of the poorest countries of the world, and I see it as my task to give those voices that are not able to call attention for their circumstances of life in another way than through my photos. So I naturally deal with poverty in Germany, too. Usually I spend a lot of time with people I want to photograph. As recently as they really trust me, pictures form that shows them in really intimate situations. Here in Germany, I can't make it to build up such a mutual trust. I come from a different country, I don't speak their language. But I ask them through gestures if I am allowed to photograph. I shake their hands, although they might be very dirty. I show them the pictures to make sure they like them. 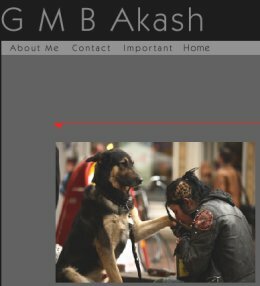 Once, when I took a picture of a homeless in Hamburg, I was asked by the police why I was photographing the homeless. They wanted to know why I show the bad sides of Germany. This was like a déjà-vu for me: In my homeland, friends, relatives, and other photographers often asked me: "Why do you only show the bad sides of Bangladesh?" But this was never my intention. 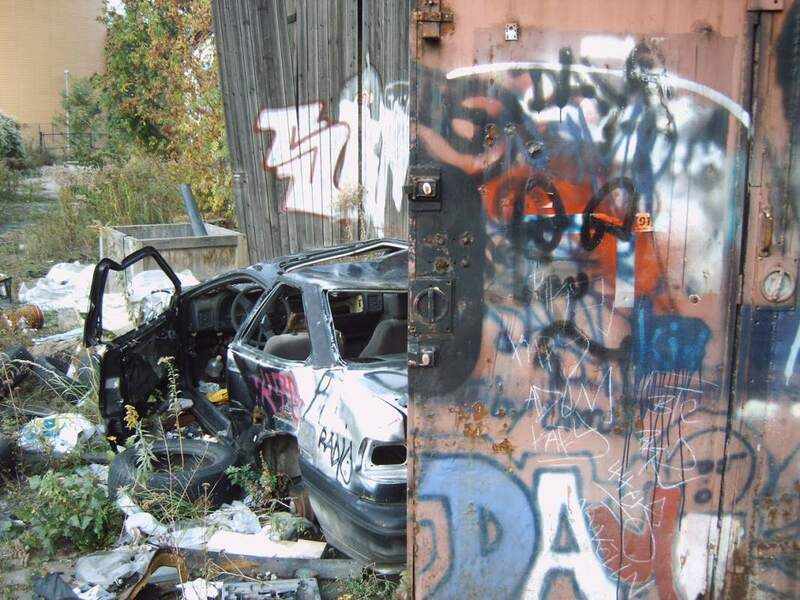 Having a son that is delinquent, you have to be hard and strict towards him to keep him from the bad. You do this because you love him. This is the same I feel for Bangladesh: I love my country and I show things that should be change positively. 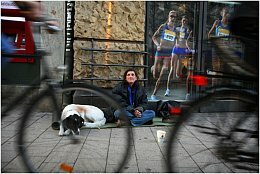 Some people I met on German Streets look very poor, very lonesome, and very depressed. Nevertheless, their lives are a hundred times better than in Bangladesh. Only having a dog with you means pure luxury in Bangladesh. Lots of poor people in Bangladesh have nothing, not even the possibility to eat three times a day. Nevertheless people in Bangladesh seem less depressed to me. Indeed the poor have nothing. But seeing them, you feel how strong they are. They have dignity, they never complain. You would never discover poverty in their eyes. In Germany most people have almost everything. And they still complain about almost everything. Maybe it's loneliness you see in the faces of the poor people here. We live in a totally different way in Bangladesh. The whole family lives together, we are much less lonesome. In Hamburg, I don't know a lot of people, of course, and my family is far away. That is very unfamiliar for me and I can sympathize a bit: Loneliness makes you sick. I don't know a lot about the circumstances of poverty and homelessness in Germany. But whatever stands behind it: The begging child I met with his father affected me a lot. How is something like this possible in a country like Germany? I didn't expect this. I believe that here, with a lot of money in the background, a job, care and support could be given to many people. Someone who sells a paper like Hinz & Kunzt, for example, doesn't have to beg. Someone who has to beg cannot build up self-confidence and has no perspective for the future. It was very good for me to spend one year here in Germany and to experience all the contrasts. When I return to Bangladesh in December I can judge two things better: I see how poor my country really is. But I also see how strong people are there. 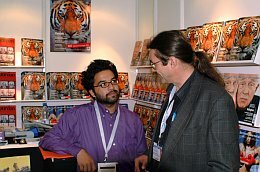 Das untere Foto zeigt G.M.B.Akash und mich bei der Leipziger Buchmesse 2006.